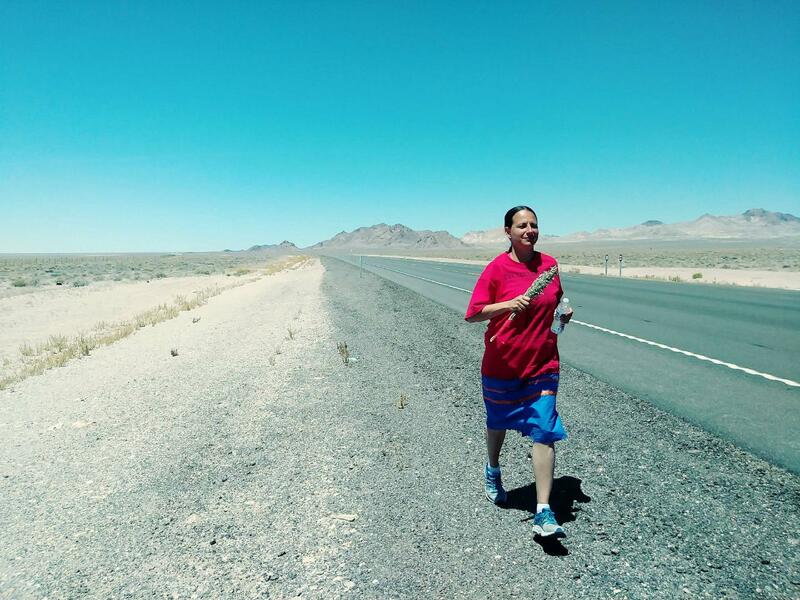 Western Shoshone are having a Prayer Walk and Run under the 1863 Ruby Valley Treaty. 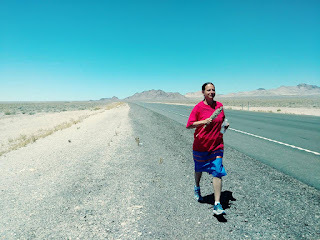 Spiritual People started walking east of Tonopah, along Warm Springs Valley. They are planting Tree Saplings on the way. 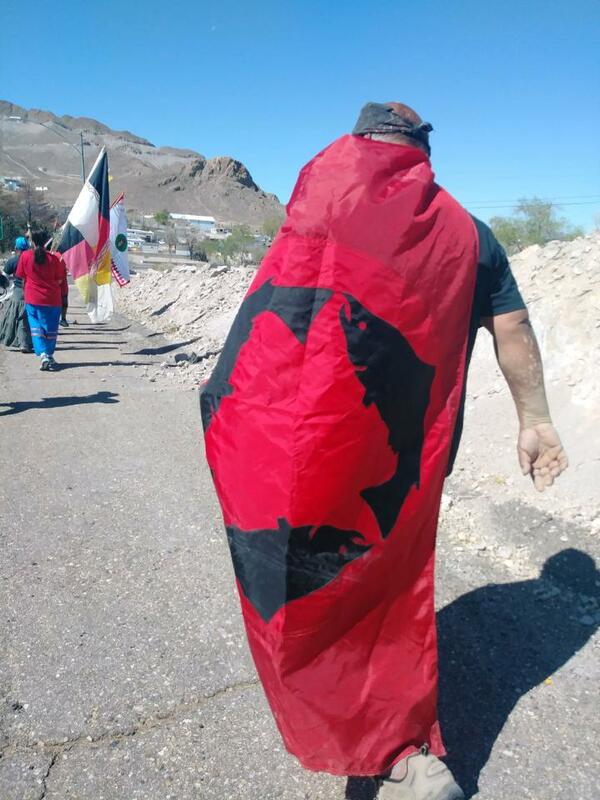 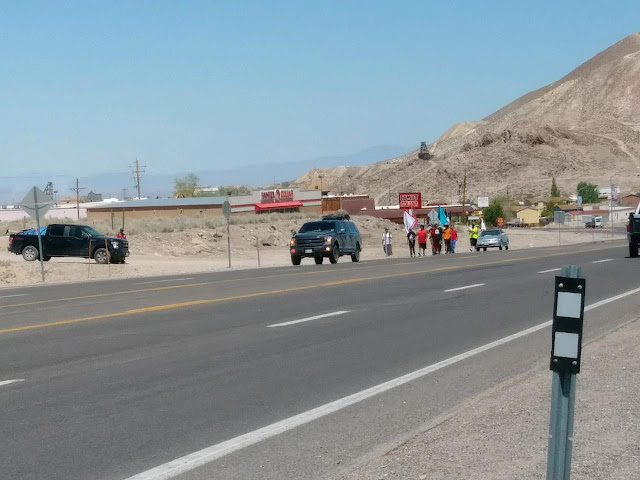 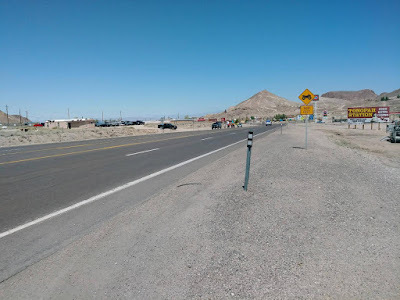 This morning they walked though Tonopah heading south on U.S. 95. They are camping along the roadway to the Nevada Test Site. 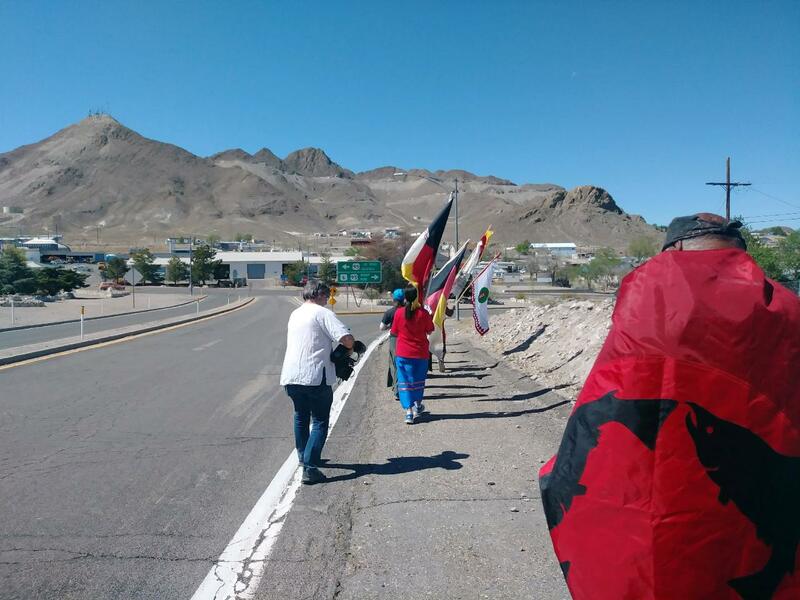 On May 13, 2018, there is a Peace Camp across from the Test Site. They are having a Prayer Circle and Talks about the land use of U.S. government at Yucca Mountain, which is clearly in violation of the 1863 Ruby Valley Treaty. Copyright Buck Sampson and Carl Sampson, Censored News.